Dubai – Thuraya Telecommunications Company, a subsidiary of the Al Yah Satellite Communications Company (Yahsat), recently announced that the world’s first satellite smartphone, the Thuraya X5-Touch would be available for commercial distribution in less than a month. Thuraya telephones are widely used in Namibia’s fishing sector, and by exploration companies, defence personnel, NGOs and even by transport companies who take high-value cargoes to remote areas where there is no cellphone cover. According to a statement this week, an industry first, the Thuraya X5-Touch runs on the Android Operating System and has a 5.2″ full HD touchscreen. It targets users who frequently move in and out of terrestrial coverage across a range of market sectors including government missions, energy projects, enterprise communications, and NGO deployments. The phone offers fast and simple connectivity on the move, in remote areas normally beyond the reach of smartphones. 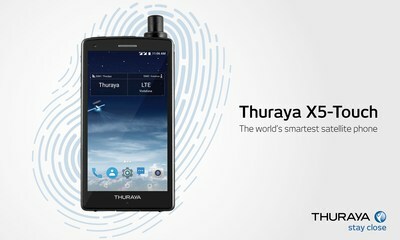 Thuraya X5-Touch also delivers a unique and interactive experience to customers within the government sector. With the Android platform, there is already a multitude of Apps readily available to work on the phone, however developers will be provided with easy access to develop and customize Apps for the needs of users. This complements the “Bring Your Own Application” (BYOA) concept, where customers have the flexibility to download any App of their choice, thereby breaking the paradigm and revolutionizing the way the satellite handset is used. (PRNewswire).